Hello and welcome to JustAnswer. I am here to help you. I am reviewing your question and will respond to you shortly. - do you fill a self assessment tax return? attached what i received in July 2017. Does that mean i dont have to include either the underpayment for previous years, neither the one for 2017/2018, as my tax code was amended accordingly? 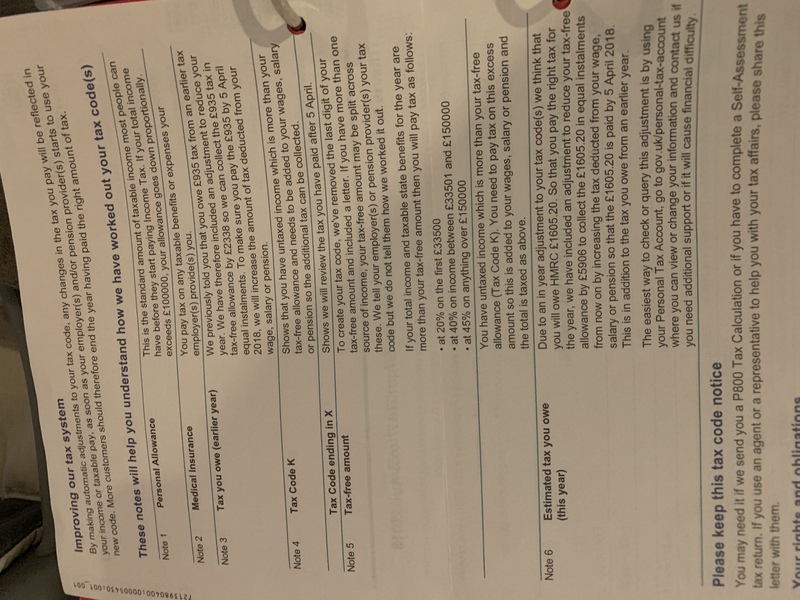 You won't need to do anything as HMRC would have adjusted your tax code for 2018/19 to recoup underpaid tax. You can't take it for granted that you won't have to fill a tax return for 2018-19. If HMRC wish you to fill one you will get a notice to that effect. I hope this is helpful and answers your question. If you have any other questions, please ask me before you rate my service – I’ll be happy to respond. i receive medical insurance from my company - do i have to declare the value or not? just to clarify on the previous question - i will put in 0.00 for both previous years, and 2017/2018 underpaid tax? If your employer is paying for your medical insurance, then it is a benefit in kind. I am surprised you have not been issued with a P11d. Please double check with your employer on this subject as you can always send an amended tax return if P11d was to surface. Put 0.00 for both years. I hope this ishelpful and answers your question. If there are no more issues, I will appreciate if you would kindly rate my service/accept the service I have provided before you leave the site, to ensure I get credited for it by Just Answer. Thank you very much your answer - much appreciated. I thank you for accepting my answer. Your reward of a bonus is greatly appreciated.